Hope all of you are enjoying your day!! For me, it was a bit hectic, we have 'tilak' on this day, so had to rush in early from home for that. will share my OOTD and FOTD tomorrow Right now, I am a bit tired, so no nail art for today. 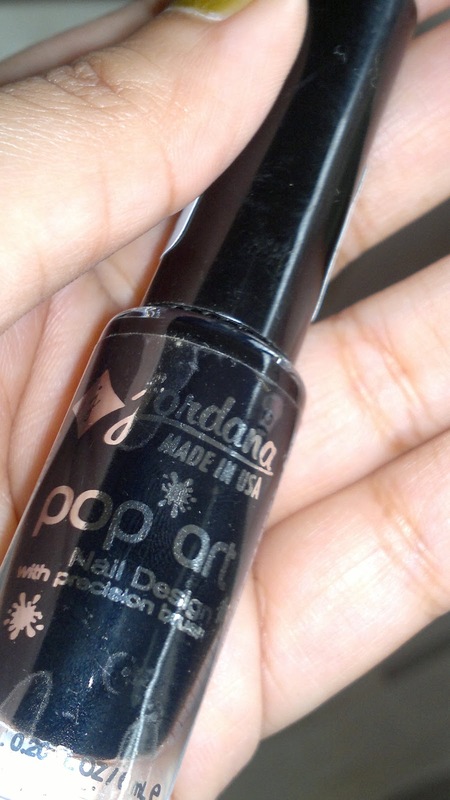 But, I will review a new favorite of mine, it's Jordana Pop Art Nail Design with Precision Brush, which is a very good striper and easy to work with. I have used this HERE . 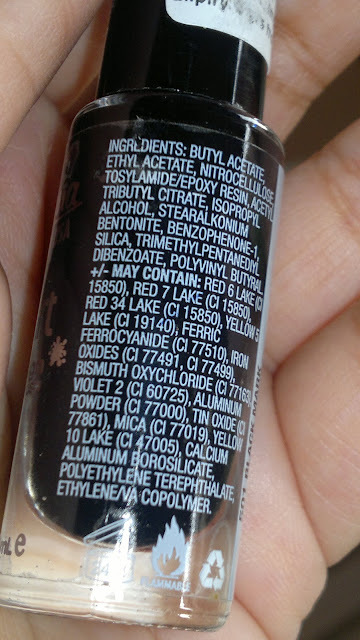 Price: INR 189 for 6 ml of the product. I got this at a discounted price of INR 179. 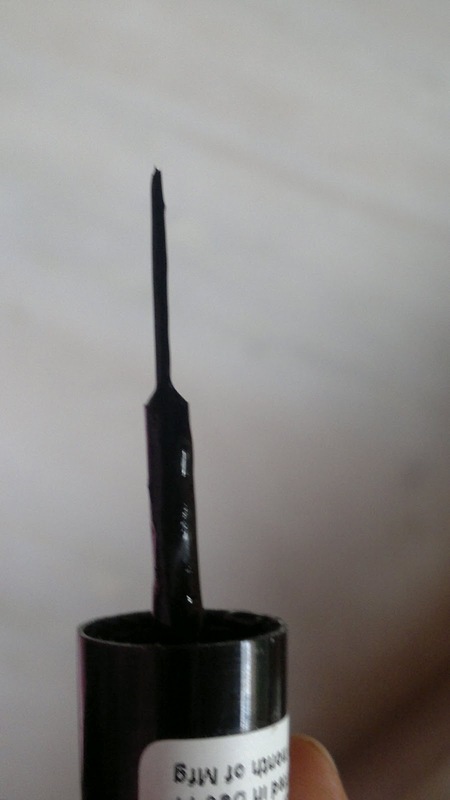 Packaging is nice and sturdy, with the cap housing a thin pointy brush, which is excellent for free hand striping. I am totally liking this one. Before this I never imagined I could do free hand striping and it looked very tough from a distance. But this beauty has changed all that and I can confidently create designs in a jiffy. This is particularly helpful when you are in a hurry and can't spend time for marbling or stamping. This beauty let's you create amazing free hand designs in a jiffy. The only condition practice makes perfect. First time is the toughest, but a few strokes and you will be a pro at handling the brush and moving it across like a pen. This is available in a lot of colors and is the cheapest striper available online. Product rating: A, available online and a bit cheaper at international shopping sites, though shipping costs would eat up into your discount. A must buy if you love to try free hand striping. this definitely produces great results..